People of all ages and belief systems can benefit from Qi Gong. If you've never heard of Qi Gong (pronounced chee-gung), you're not alone. It's not a common practice in Western cultures, but it could benefit both your mental and physical health if you give it a try. People of all ages can participate because it doesn't require high-impact movements or significant balance. The most common form of Qi Gong is tai chi, which you might have seen people practicing in groups, particularly in public open spaces. It's a combination of movement, breathing, posture, and intentional thinking that helps heal every part of your body. Some Qi Gong forms, such as kung fu, take a more aggressive approach and require more speed, strength, endurance, balance, and overall fitness. How Does Qi Gong Benefit the Practitioner? 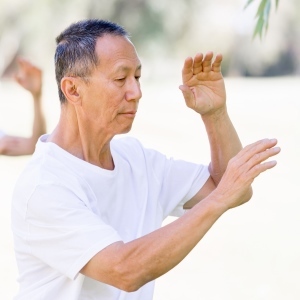 Some Qi Gong techniques focus on a specific part of your body, such as your endocrine or cardiovascular system, while others, such as tai chi, target the entire body. You can choose a method that matches your specific needs and health concerns. Any form of Qi Gong can benefit you mentally and spiritually, but different forms have unique impacts on your physical body. Why Should You Practice Qi Gong? If you're looking for a gentle way to speed up the healing process, clear your thoughts, or reconnect with your spirit, you'll likely find the solution in Qi Gong. Just like any other practice, such as consulting with online psychics, Qi Gong becomes more beneficial the longer you pursue it. You'll get stronger, you'll learn how to breathe intentionally, and you'll discover how to narrow your thoughts for more intentional results. There's no definitive answer to the mechanics behind Qi Gong. However, many practitioners believe that the movement helps change the direction of energy in your body. Just as telephone psychics help you tap into your energy and understand your purpose, Qi Gong redirects that energy and balances it within your body. Each movement and pose is carefully designed to achieve heightened health and mental clarity. How Can You Learn Qi Gong? If you live in a large city, you can probably find a mentor or teacher. Some gyms and other fitness centers offer classes — whether in groups or one-on-one — so you can learn the movements safely under supervision. You can also find demonstrations and videos online or order a DVD that teaches you how to practice. Can Older or Disabled People Benefit From Qi Gong? Since numerous types of Qi Gong exist, anyone can find a form that works for him or her. For instance, if you have trouble standing or walking, practice Qi Gong in a seated position, using only your upper body to direct energy. You might also like one of the lesser-known forms of Qi Gong, such as Art Qi Gong, which focuses more on aesthetics than movement. Everyone can benefit from mental and physical activities that boost their immune systems, clear their minds, balance their energies, and connect them with others. Qi Gong offers an effective option that anyone can try.